Hobo Mama: Bilingual carnival and last day for a giveaway! Bilingual carnival and last day for a giveaway! The bilingual blog carnival is now up at Spanglish Baby — We're Not Alone. This month includes my post on Bilingual children's books: A cheater's guide. I hope to write a later post about non-cheating ways to get cheap(ish) bilingual children's books, so do let me know of any resources you find particularly helpful! 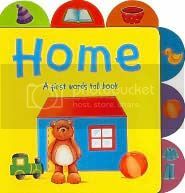 I remembered one more simple English book that can be translated easily enough into another language that I'd intended to include in that post, so I'll mention it here in case you can find it: Home. It was hard to find because it has the most generic name ever. Besides my dubious advice (hee hee), the bilingual carnival features articles on managing bilingualism with pre-teens, using music to reinforce a minority language, parallel literacy, raising siblings bilingually, working through struggles and discouragement, being a non-native speaker (I've gotta read that one! ), and more! So head on over to recognize that we're in this together. To participate in future bilingual carnivals, get the carnival schedule and sign up for the newsletter at Bilingual for Fun! 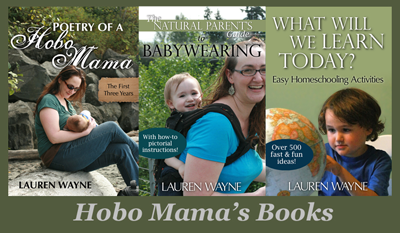 I have a giveaway ending today at Hobo Mama Reviews! Go to MamaKnowsBreast.com, tell me a sentence or two about something interesting you read, and be entered to win a copy of a breastfeeding book by the author. So easy, such a reward! Enter by 11:59 PST, or be square. Or something that rhymes. I'm ready to be done with the sickness around here. Anyone with me? I am a Kreativ Blogger!